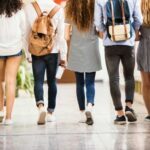 Here’s Why Election Day Matters – W.A.M.P.U.S. Happy Election Day, BHS! 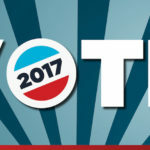 Whether or not you are eligible to vote, here are some facts about the history of voting in America and why it is important to do your civic duty and exercise your voice as a citizen. Election day is always the first Tuesday in November. This means it can be as early as November 2nd or as late as November 8th. This practice was enacted in 1845 by Congress, so before then there was no uniform election day, rather about a two-month window. Why Tuesday? Simply, because it would sometimes take a day for people to travel, so Tuesday would not interfere with Sunday (when most people went to church and would not travel) and Wednesday (a market day in many towns). Eight states and Puerto Rico have made election day a civic holiday, so people have the day off from work. 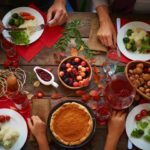 There are calls for the government to make it a federal holiday, as many people work on Tuesday and can’t make it to the polls. Elections for federal offices are held in even-numbered years. Presidential elections are every 4 years, and the ones in between are typically called “midterm” elections. North Korea has elections every five years. There is only one name on the ballot. Astronauts in space can vote via absentee ballot.¹ If they can do it from 220 miles above the earth, you can take the time to drive to the other side of town. Go, New Jersey! They further clarified that this wasn’t a mistake of the wording: in a 1797 act of legislation the pronouns “he or she” were specifically used. This right was eventually repealed in 1807 (boo, New Jersey). For this brief period of time, rich women in New Jersey had more rights than poor white men in another state. 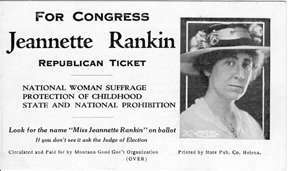 Before women in Pennsylvania were even allowed to vote, Jeanette Rankin was elected to Congress from Wyoming. While many groups were able to vote in different areas before these amendments, the 15th and 19th amendments are nevertheless so important to remember, especially today. If you are anyone other than a white, land-owning male, there have been groups of people who fought tirelessly for years for your right to vote. Honor their memory by doing so. Heck, even if you are a white, land-owning male, people fought for your right to vote. Remember no taxation without representation? 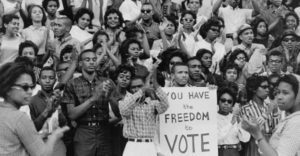 While the 15th Amendment gave African Americans the right to vote, it still took decades of fighting for measures like the Voting Rights Act (1965) to fully protect their rights. Your vote counts. It counts even more in state and local elections. Just because they don’t come with the fanfare and media coverage of a presidential election, that doesn’t mean they are less important. Local laws affect you more than federal laws (think, police, street maintenance, traffic laws, school budgets). In simple proportions, your vote counts a lot more in local elections where only 1/5 of the population votes, than in a nation-wide election where millions vote. Our country is founded on the principle that our government serves the people, — but it can’t do that if you don’t vote!